How to Successfully Integrate Technology Into an ADHD Treatment Plan | Navigating ADHD Inc. Regardless of if you are a Millennial or a Baby Boomer, technology is a prominent part of our everyday lives. Technology is now the primary way we communicate with friends, pass the time or schedule appointments. As parents, our children learn from us and pick up our habits. After all, can you go a day without a cell phone, laptop, or internet? Today’s youth are born into a connected world and their fascination with all things technology streams at a faster rate than ours. As parents learning how to quell or control our children’s appetite for technology is a constant battle and at times we can feel like we’re losing the war. Throw ADHD into the mix and that battle can become one of epic proportions as you try to focus on consistency and regularity in schedules and routines. This focus does not leave much time for a growing fascination with technology. But it poses the question, can technology be an aid in helping manage symptoms of ADHD? And if so, what are the steps or how should technology be incorporated into a child’s treatment program? John could use a voice recorder app on his phone, such as Voice Recorder, and would talk about his ideas and then play them back so that he could type them into a document. John could use Dragon Speak software and although there would be a learning curve in using it he could eventually “speak” his papers. John could download software, such as Inspiration, on his computer that would help him organize his thoughts through graphic organizers, maps and visual tools. Each of these options empowered John to find ways to reveal he had a strength in writing once the medium for being successful was found. John ended up starting out with a voice recorder while he learned how to use Dragon Speak software. John’s school provided the Dragon Speak software and had someone at the school help him use it. John’s confidence grew and writing was no longer as dreadful! What is the role of technology in the treatment of ADHD? ADHD symptoms such as becoming easily distracted, impulsivity, difficulty following instructions, and inattentiveness are core symptoms that can lead to challenges in a child’s learning. Assistive Technology (AT) can help minimize or remedy issues with cultivating focus and helping students stay on track and engaged with work. For example, many types of AT are already available and used in our daily lives. Using PDAs to set reminders and audio alerts can help students stay on track with tasks such as homework assignments, and create to do lists. 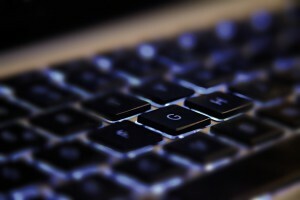 Laptop computers provide resources such as audiobooks and reading software applications. These recorded books allow users to listen to text and follow along on the screen to learn words and more. Such resources are available on specialty websites, CDs and MP3 downloads. Speech recognition programs allow students to speak words into a microphone and see them appear on the computer screen. Participate with your children in the use of technology to be sure that they are actively learning and not just focusing. Ask questions about what they are learning, or take breaks regularly. Do not focus on technology, but use it in conjunction with other activities. Integrate traditional homework lessons and writing assignments. Use alerts to help students stay on task and pace themselves while using AT. Parents should be aware that it is their student’s right to have access to technology in their classroom. The Rehabilitation Act of 1973 is the genesis of Assistive technology (AT). The IDEA Federal Statute: ensures free and appropriate education for children with disabilities, and specific disability categories are defined in this law. Section 504 A Broad Civil Rights law protects rights of individuals with disabilities, covering any institution that receive federal funds – to ensure persons with disabilities an opportunity to fully participate with peers. These acts were created to ensure that individuals regardless of a disability would be given equal access to education, employment, and other public venues. Also, students who qualify may have access to approved technology at no cost. If your child’s ADHD symptoms are impacting his or her performance at school, they may qualify for assistance through one or both federally sponsored regulations mentioned earlier. Check with your child’s teacher. Below are additional resources to help you begin to properly use and integrate AT into your child’s learning plan. It’s interesting to read about the role of technology for ADHD treatment. 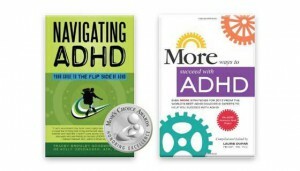 It makes sense that as technology has been evolving, ADHD treatment has been evolving right with it. I’ll have to remember this for my son to make sure he gets proper treatment so he doesn’t have to deal with it his whole life. Yes, everything changes so quickly. ADHD treatment should always contain strategies that make what the brain finds challenging easier. Your son’s ADHD provides him with many special talents and the right treatment plan will help him grow and flourish. We are working on some new “Back Pocket Parenting” strategies which will be launched soon. Early next week we will be sending out a followup to this blog. Do you receive our newsletter? If so you will automatically stay posted and if not visit the home page to sign up! As always let us know if you have any questions. It’s interesting to see that technology is being implemented into ADHD treatment. My son seriously struggles from ADHD difficulties. I definitely think that we should seriously look into finding a counselor that could help him to make some progress.